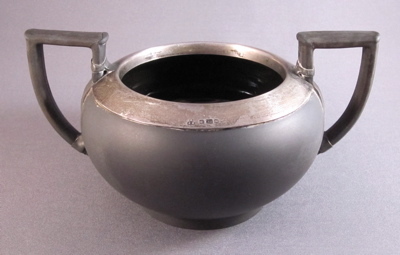 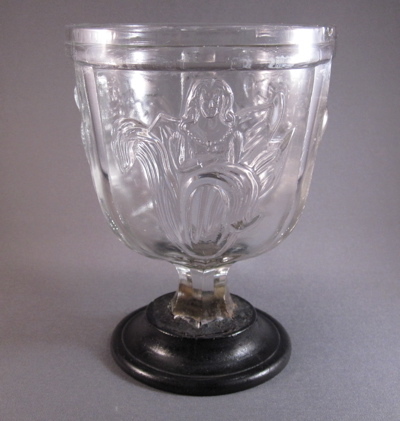 I am still researching this 3″ high by 5-1/2″ wide black basalt open sugar bowl with an incised WEDGWOOD mark on the bottom. 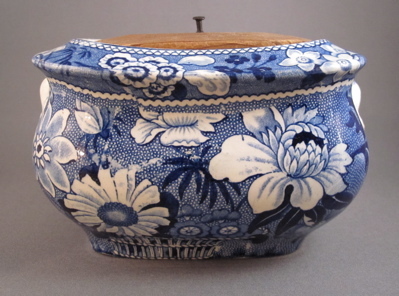 I purchased this piece of jasperware in London at the Covent Garden Market and was told by the dealer that the piece dates from 1753, though I feel it to be from a later date, and that the hallmarks on the (added?) 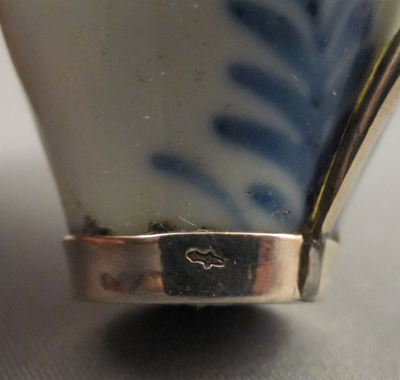 sterling silver rim date to 1853. 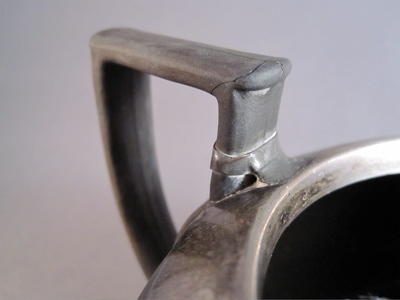 Cracks in both handles are now supported by the addition of four silver bands riveted through to the inside of the bowl. 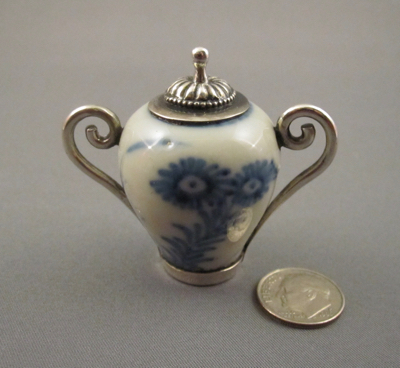 If anyone knows more about this piece, I would greatly appreciate any further information you may have. 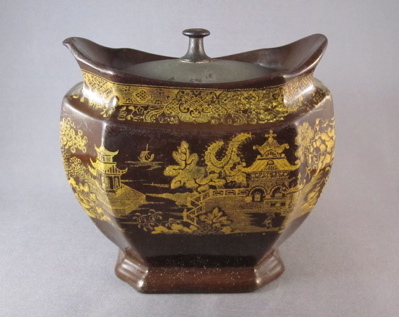 Brown glazed earthenware sugar bowl with yellow transfer-printed “willow-style” decoration, measures 4-1/2″ tall. 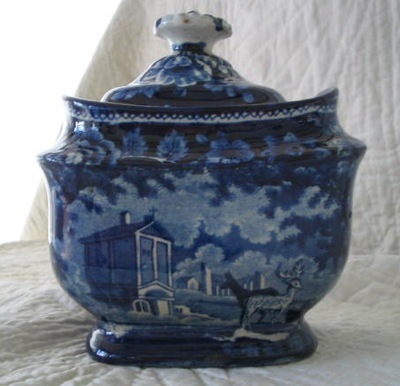 For many years this type of pottery was called “Portobello ware”, referring to the area in Scotland where these pieces were made. 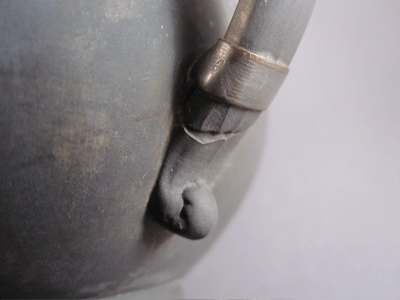 Most likely an itinerant tinsmith replaced the original broken pottery lid with one nicely made of tin, with a push pin shaped knob. 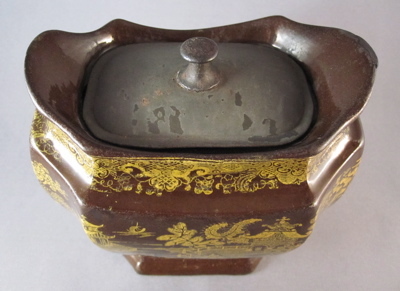 This example shows what the original lid may have looked like. 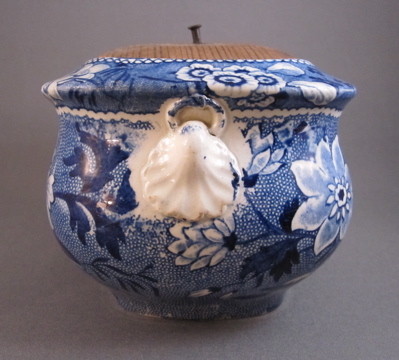 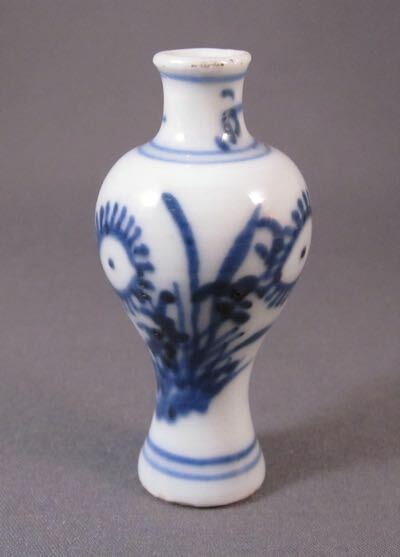 An English pottery sugar bowl with lush floral blue & white underglaze transfer decoration made by Davenport in the first quarter of the 1800s. 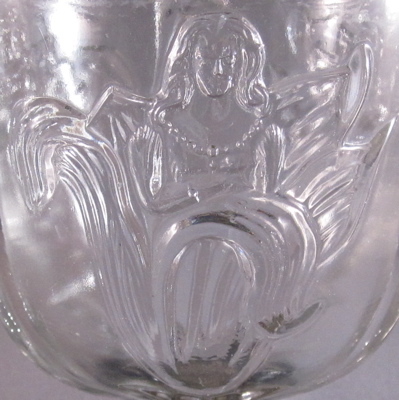 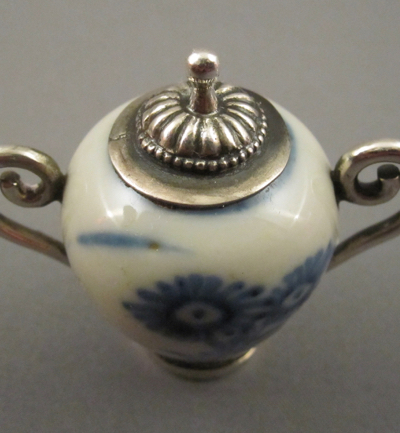 Sugar bowl measures 3-1/2″ high and 5-1/2″ wide. 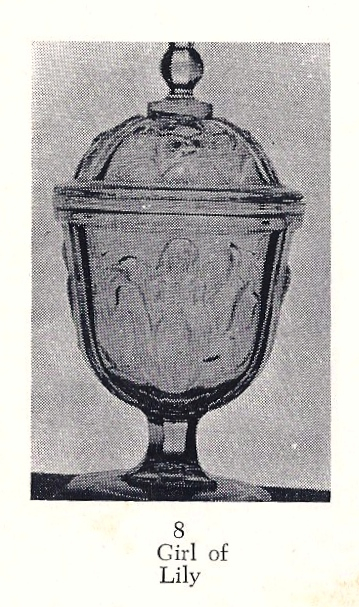 Marked on the bottom with an impressed DAVENPORT and anchor. 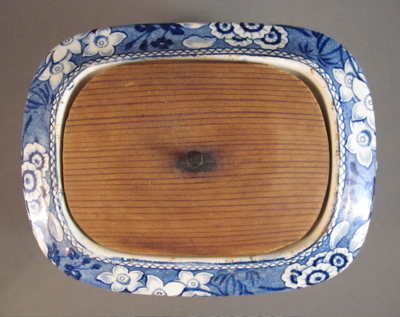 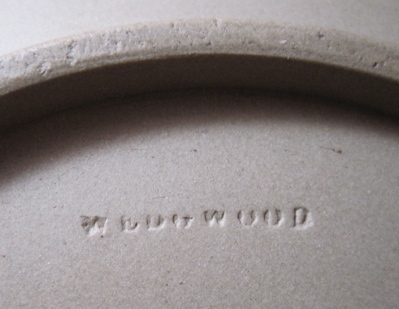 At some point the matching lid was broken or lost and was replaced with an unassuming carved wood lid. 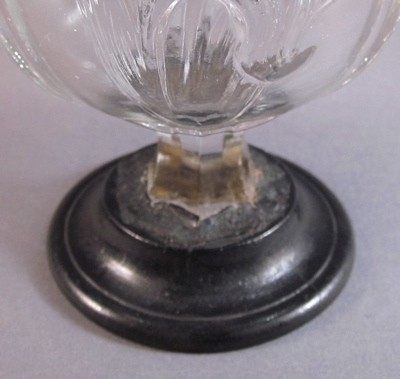 The knob, made from a nail, is even less assuming. 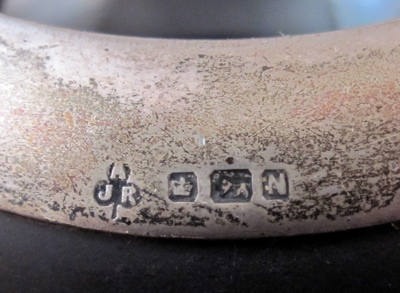 This small piece of paper, the size of a fortune cookie fortune, was found inside with this faded inscription: “Great Great Grandmother Pate – 1770”. 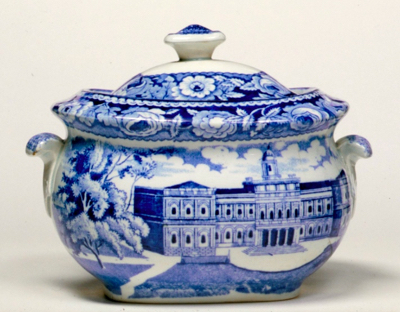 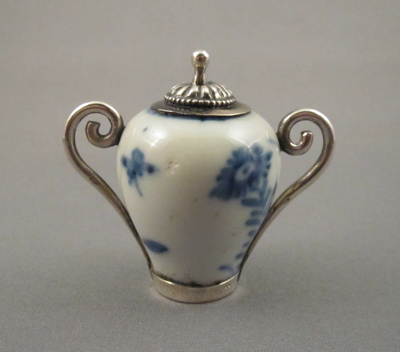 This complete sugar bowl from the same period, still maintains its original matching lid.